Sony has got into the biometric headphones game with its running-focused Sony Smart B-Trainer sports earbuds. 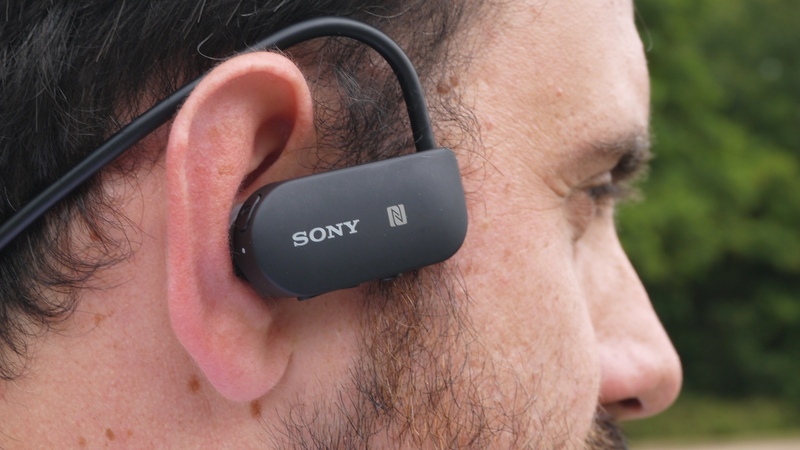 The Smart B-Trainer (SSE-BTR1 as they're more affectionately known at Sony) calls on the design of previous Walkman products by offering built-in storage for music and in-ear design, but builds in six sensors and Bluetooth pairing. They're also fully waterproof. The sensors – including heart rate sensing, GPS and an accelerometer – are capable of running watch class biometrics all from the ear, and there's no need to carry your phone with you when you run. It's a unique line-up of sensors in a headphone product, and what's really refreshing is that it's capable of storing up this data until you get home, so there's no need to keep your phone close by. That makes it one of the only wearable devices to offer full GPS tracking, heart rate biometrics and portable music without a smartphone. There's 16GB of memory for storing MP3s, or you can pair to a smartphone for streamed music, if you don't mind carrying your handset along for the ride. If you do choose MP3s, it will cleverly match your desired pace to your tunes' bpm to give you a helping hand. When you head out for a run, you fire up the Smart B-Trainer app, which is available for iOS and Android. There you can choose from a range of running workout styles – from fat burning to endurance training – and set yourself goals and targets. At that point you can leave your phone at home, and head out with your headphones on. While you run, the headphones will track heart rate, burned calories, distance, time, speed, pace, cadence, steps, stride, running route and elevation which can be synced back to the app when you return. There is also coaching insight, as the name suggests, and your virtual trainer will tell you if you're going too fast or slow. However, it will remain to be seen how effective the coaching is compared to Moov, which features a host of plans from running form, efficiency, speed and more. 'Its ability to assist with your running goals, from the planning stage through to reviewing your progress, make it a helpful companion for a runner," he said. "The automatic music selection fits the tempo of your run, which I think is a great feature and I'm excited to incorporate it into my training'. The B-Trainer headphones are fully focused on running right now, and even through they're fit for the pool, there are no specific workouts or plans. The Smart B-Trainer will be available in blue, black, white, pink and yellow this month. We're waiting on pricing info, and will update shortly.